North Carolina Town's Longtime Barbershop Cutups Lawrence Anthony and David Shirley have spent the past 40 years cutting hair together in a Drexel, N.C., barbershop. Together, the two share memories of their fading town and tapering careers. 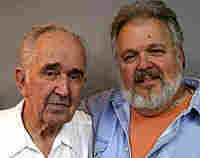 David Shirley has worked at Anthony's shop for more than 40 years. 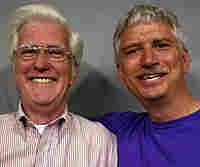 Anthony was interviewed by his son Carroll Anthony for StoryCorps. 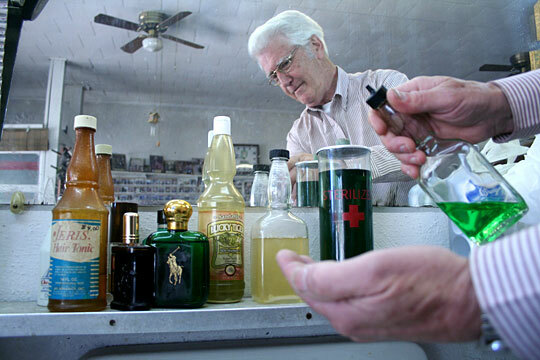 Lawrence Anthony, owner of The Barber Shop, gives a customer his weekly buzz. Shirley was interviewed for StoryCorps by his son, David P. Shirley. If you find yourself in Drexel, N.C., stop by The Barber Shop and get a trim from owner Lawrence Anthony or barber David Shirley. "We have doctors and lawyers and judges and town drunks and people that's got a million [dollars] and probably owe a million [dollars]," says the 65-year-old Shirley, who explains he's been around barbershops all his life. He's worked in Anthony's barbershop for more than 40 years. "I remember a gentleman would come in, and we would ask what type of haircut he wanted, and he said, 'Well, cut one sideburn above my ear, leave the other one below and leave my alfalfa sticking up.' And we would say, 'We can't cut your hair like that.' He said, 'Why? That's the way you cut it last time.' 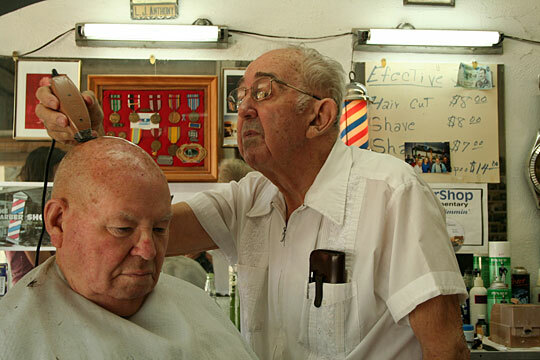 "
A chance haircut — and 50 cents — kicked off 85-year-old Anthony's barber career back in the 1940s. When he was about 18 years old, his father sent him to a neighbor's house with his little brother. His job was to get his brother a haircut. "The neighbor said, 'I was drunk last night, ain't no way I can cut hair; you'll have to do it,' " Anthony says. "I said, 'I ain't never cut a head of hair in my life, ain't never touched clippers.' He said, 'You go ahead and cut it. If you mess it up, I'll straighten it out.' "
Anthony picked up the clippers and cut his brother's hair. When he was finished, the neighbor complimented his work, telling him, "Well, that's better than I could do." The neighbor then sold Anthony some hand clippers, a comb and a pair of scissors. "That's when I went into the barber business for 50 cents," Anthony says. Anthony says he tries not to think too hard about how Drexel has changed over the years. "Forty, 50 years ago, Drexel was a thriving little town," Anthony says. "But for the last 40 years, with good management and careful planning, we now have nothing. We got the barbershop and there ain't much going on in Drexel no more. It's kinda faded away. Try not to think about that too much, it might make you feel sad." And Shirley keeps putting off retirement. "I would hate to think of the time that I have to turn the key for the last time and walk off," he says. But it's not money that keeps his hands on the scissors, Shirley says. "As I get older, I think I'm a rich man — not dollar-wise, I don't mean that — but in memories and friends," he says. "I've been thoroughly blessed."